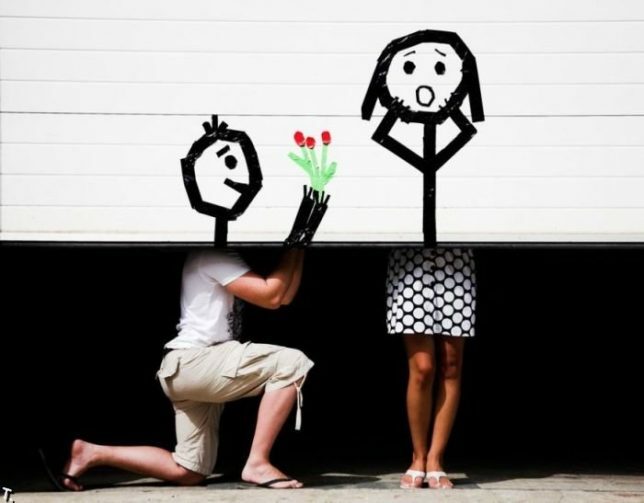 Has anybody seen my big red… er, garage door, of course! 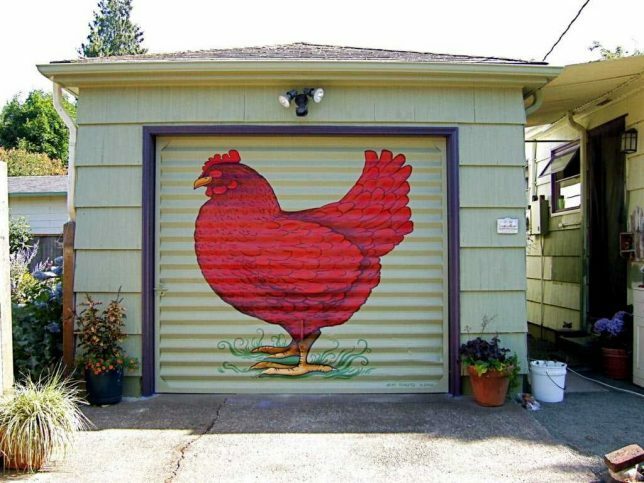 This six-foot-tall Rhode Island Red rooster decorates a formerly bland garage door in (no, not Rhode Island) Portland, Oregon. Owner Sally Senior commissioned artist Heidi Schultz to paint a portrait of Senior’s rooster, named Ruby Tuesday, on her door to help spiff-up the premises in time for the 2010 Portland Tour de Coops. We think we’re all lucky Schultz didn’t chicken out. 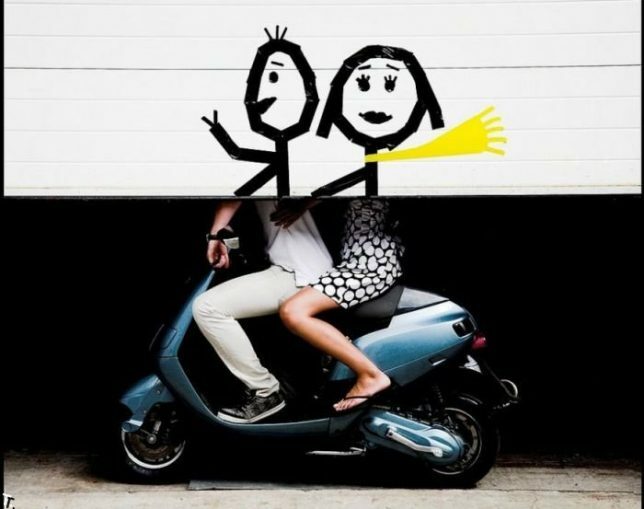 We’re not sure just what the backstory is on the above series of charming garage door semi-portraits as all Russian website Trinixy states is “Positive!”. At least the series has a happy ending. 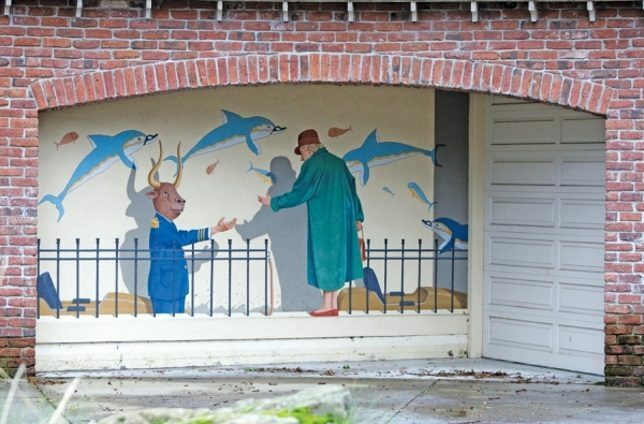 It isn’t easy to get a trompe-l’oeil (“deceive the eye”) painting just right but Palo Alto muralist Greg Brown has succeeded admirably with “The Big Ride”, painted for Greek-American couple Costa and Julie Sevastopoulos. It took almost a full month for Brown to complete the larger-than-life work and used a hair dryer to help the paint dry on days when it rained. 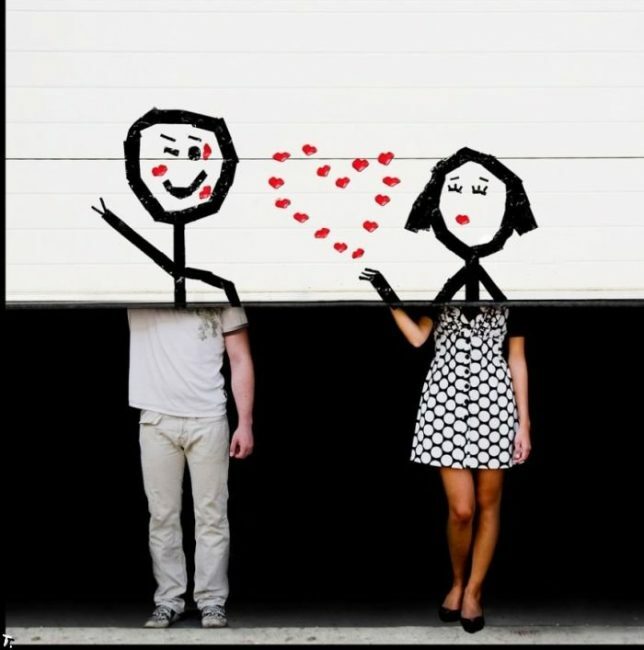 British graffiti artist Stik may or may not be “the new Banksy” but he’s certainly made his mark, so to speak. 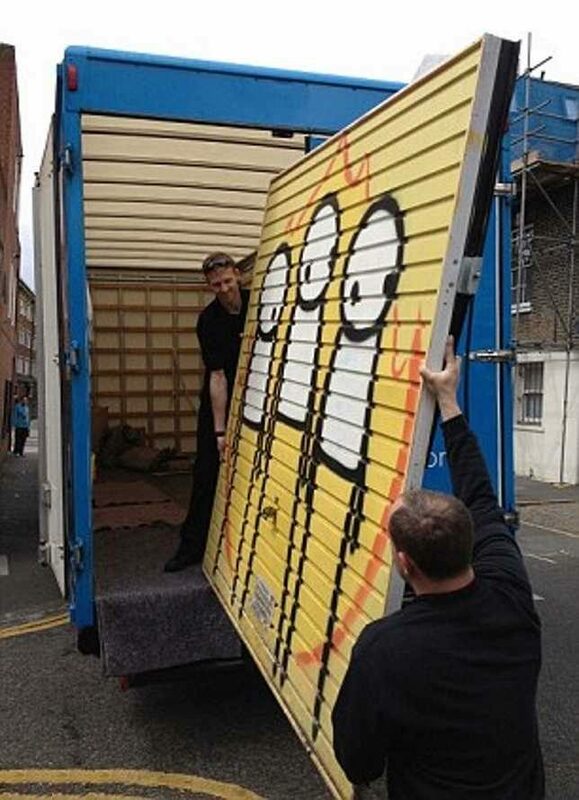 Stik’s tribute to the 2011 London Riots was painted onto the garage door of a vegan community center in London’s Hackney district in the aftermath of the urban disturbances. Celebrity antiques dealer Andrew Lamberty bought the work – lock, stock, barrel and door – for a purported four-figure sum in May of 2013. We imagine everyone’s pleased with the sale except the vegan community center, who suddenly find themselves needing a new garage door.